Do you want to wear contact lenses, but suffer from a condition that makes you "hard to fit for contacts"? If so, our Boston eye doctor can help you get started with contact lenses without suffering eye strain and pain. Learn how we approach hard to fit contacts. What are Hard to Fit Contacts? If you were ever called hard to fit for contacts, by a doctor, it means you have an eye condition that makes it more challenging to fit you for contact lenses. Conditions that may affect your ability to wear contacts include keratoconus, dry eye, and giant papillary conjunctivitis. On a related note, if you suffer from astigmatism or presbyopia, you need contacts that provide the right level of vision correction, which may include multiple lens powers. More challenging does not mean impossible. 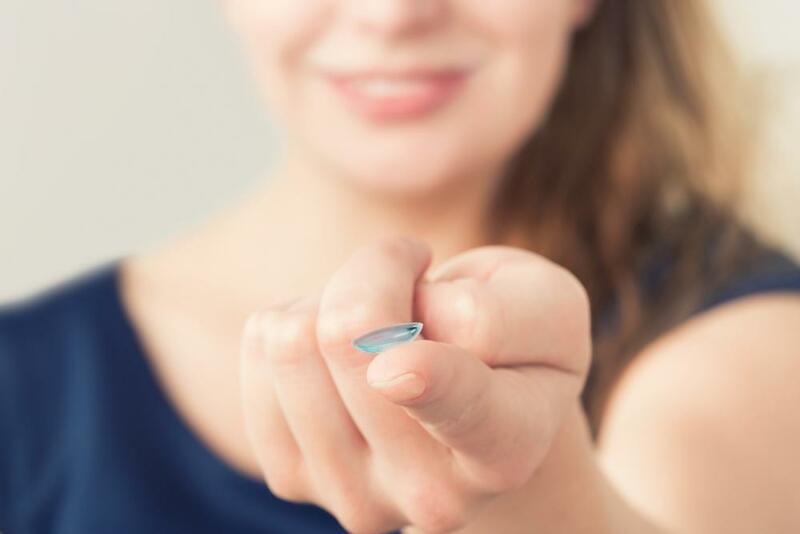 There have been changes to contact lenses recently that make it easier for you to wear contacts comfortably even if you have one of these eye conditions. It may take some experimenting, and our eye doctor in Boston may need to test different contact lens types, but we are here to work with you until we find contacts that meet your needs. Our Boston optometrist carries a range of contact lens types to accommodate individuals who want to wear contact lenses but may have difficulty doing so. When you come in for a contact lens exam and fitting, we will first evaluate your vision needs and check for any underlying conditions that will affect your ability to wear contacts. Based on this evaluation, we will recommend one or more types of contact lenses for you. We'll talk you through the pros and cons of each, then measure your eyes for fit, and finally teach you how to properly care for your lenses. Gas-permeable lenses reduce corneal bulge associated with keratoconus. These lenses also work well for individuals suffering giant papillary conjunctivitis as they limit protein deposits. Toric lenses are custom made to correct astigmatism. For presbyopia, we can offer multifocal or bifocal lenses that correct vision. If you have dry eye, we may prescribe eye drops that alleviate dry eye and help you wear contacts comfortably. Our commitment to fitting you for contact lenses does not end there. We will schedule a follow-up appointment within roughly one week of your initial appointment. In this follow-up, we'll ask you how the new contact lenses are working out. We want to make sure the contacts provide comfortable and hygienic vision correction without putting you in pain. If the new contacts are not comfortable, we will try another style of lens. You can rely on our eye doctor to work with you to find contact lenses that meet your individual needs. Reserve a Contact Lens Exam and Fitting with Our Boston Optometrist Today! Would you like to make an appointment with our eye doctor in Boston? Contact us today at 617-859-0630 to set up your contact lens fitting and exam or to ask our eye doctor about your eye needs.